Welcome "From the Heart" fans and birdbrain lovers!! 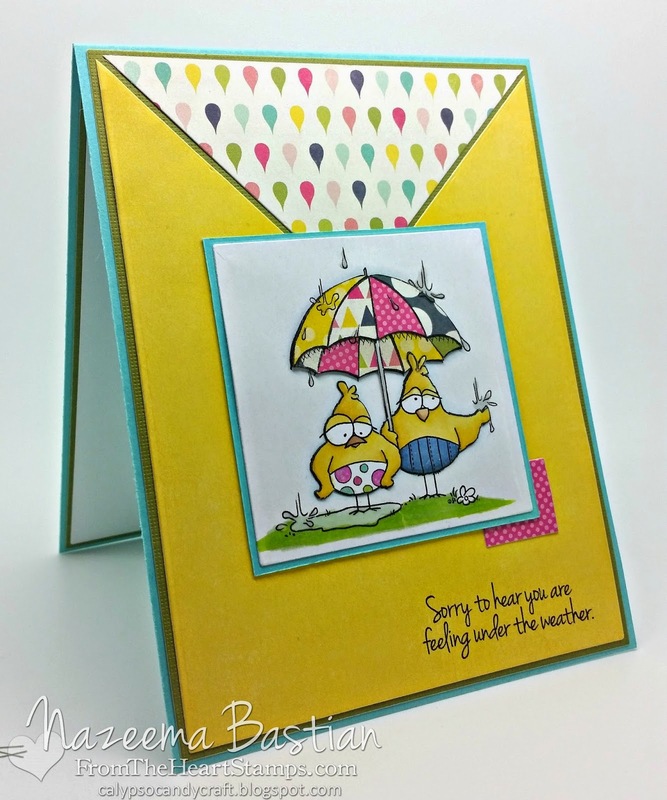 Today's blog hop is all about, "Get Well" wishes. There really has been a nasty little bug going around. I know of so many people that it has infected. It actually came through our household 3 times in one month!!! It was really bad!!! Now the weather is warming up and we are spending lots of time outside. For my card today, I am using Rainy Day Brirdbrains. I am using this weeks sketch and tWiSt!!! I had to make a bright and cheerful card, especially so that the recipient of the card. I wanted it to just make them smile...especially as much I do when I see these two birdbrains. I did some serious fussy cutting and paper piecing on this image. The umbrella is all paper pieced, but also the birdbrains too!! I cut out the blu-bellied birdbrain first, then his arm and lastly the polka dotted bird brain. There is a great amount of depth to the image when you do it that way. It's a lot of work, but so well worth the results. Thanks for hopping with us today. The hop will end on Monday May 5th at 6am, EST. Winners will be posted on the From the Heart Stamps Blog on Wednesday May 7th. The patchwork umbrella is the star! Lovely! What a cute paper-pieced umbrella! I love the tones in your coloring, too. Great job using the sketch! Awww, I LOVE the paper piecing. Such a happy card. 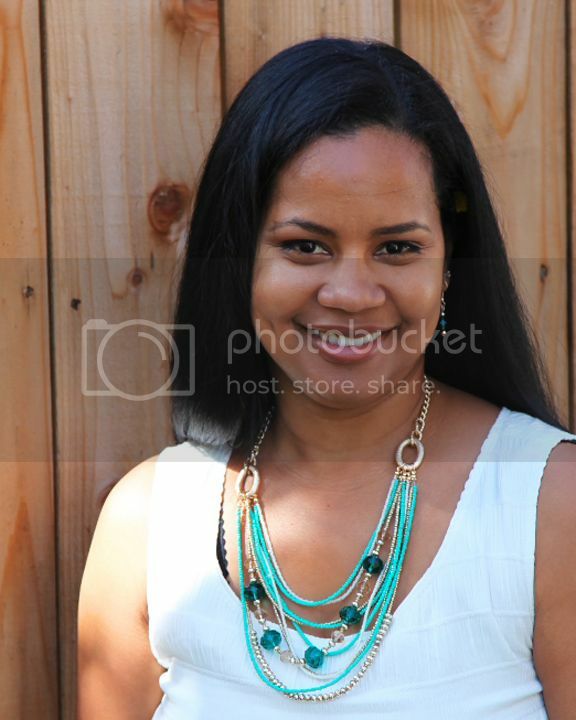 Gorgeous design and bold colors. Your paper piecing is fab! What a great idea to use the umbrella. Wow, love how you did these, great colors! Calypso, your paper piecing is amazing !! 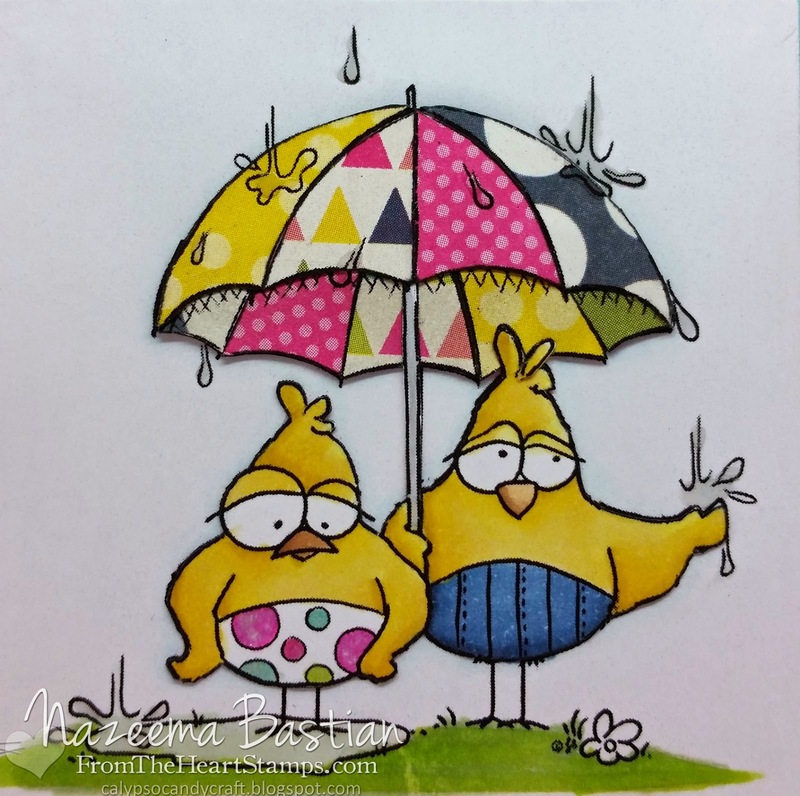 The raindrops DP fits perfect - lovely card !! Love the paper piecing and the sketch. Amazing! Lovely card - would cheer anyone up I think. Super cute card Calypso!! Love the paper pieced umbrella!! This card made me smile the minute I saw it, so I know that someone that receives one like this would probably smile as well. Your paper piecing is awesome and such a great way to make this adorable image pop! Such a happy, fun card!! I love the umbrella, looks fantastic with all those different patterns and the black "threds". Great take on the sketch too. You used the sketch PERFECTLY!! I love it. love the multi colored rain drop paper. Great job on the paper piecing. I agree totally worth the trouble. Makes me smile! Such a perfect project - a great take on the sketch an on the hop - love the dimension! Awesome job, love the image, makes me smile. Great paper bright and nice paper piecing. Awesome job on the sketch too. Thanks for entering our Paper Piecing Challenge at 4 Crafty Chicks!